And for your reference, it has apparently been 6+ months since Tony was captured by the Mandarin. Remember that thing that happened before all those big events started, where Tony was stressing over a mole in his company? 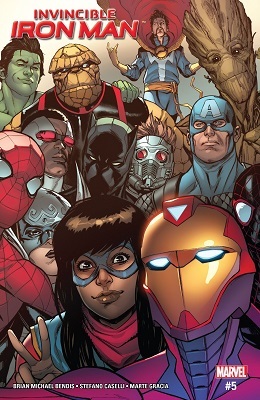 Finally, after the many world-Avenger-related crises Tony's had to face, he's able to have a meeting. And I was right, apparently. Spoilers are spoilers because I'm not in the mood to skirt around the news. And proof Tim Cababa's a true Filipino.... he does a lot of work and doesn't get credit for it! Pfft, yeah, I'm sorry, but it's true,. I don't recall any of this in the novel. Four scans from Black Widow #2. In honor of Secretary's Day: two scenes of Tony Stark's assistants giving their boss a wakeup call. Sorry, momentary rage blackout at remembering that arc. Anyway, they found out. Two pages of quietly seething fallout (and not one, but two truly hilarious Pepper!Faces) under the cut. 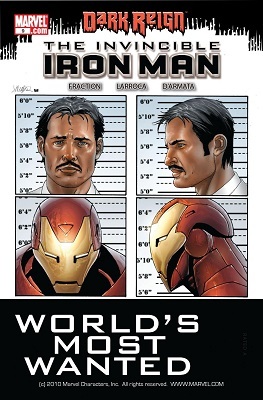 CosmicBookNews has the preview pages for Iron Man #23 as he . Three scans from Invincible Iron Man #22. But we used a condom! Four scans from Black Widow: Deadly Origin #2. Four scans from Invincible Iron Man #21, which was yet another book that clearly wasn't counting on Reborn going to six issues. 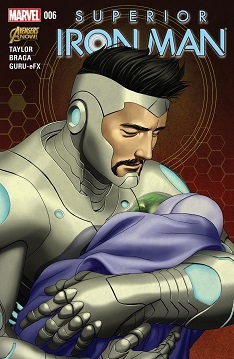 Four scans from Invincible Iron Man #20.